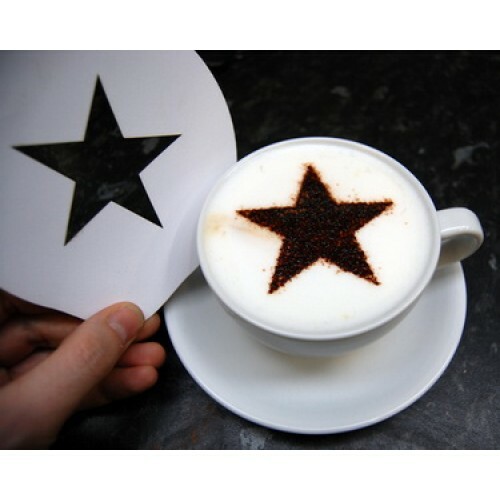 Personalise your drinks with a range of coffee stencils! Hearts, stars, coffee cups, Alphabet stencils and many more. Not all of them appear on the site, but we have them all. Choose from our stock or contact us at 08453714423 to have more ideas.